Road congestion is “a disease” which has brought average traffic speeds to below 10mph in Britain’s busiest cities and reduced some bus routes to walking pace, a new report warns. The growth in online shopping leading to more delivery vans on the road is partly to blame for the rise in congestion, with the surge in Uber drivers exacerbating the problem. The situation is set to get worse, with traffic on our roads expected to grow by up to 55% by 2040, and morning and evening ‘rush hour’ periods already lengthening as traffic volumes reach saturation point in cities like London, Manchester and Bristol. The bus sector has been hit the hardest, with journey times currently increasing by 10% per decade – a rate which, if it continues, will cost an estimated 5,000 jobs per year. Buses carry more commuters than all other forms of public transport combined and help to generate £64bn per year for local economies, while helping vulnerable people across the country stay connected with their communities. In London, where planned roadworks have increased by 362% in three years, bus speeds on some routes have fallen so dramatically that it is almost quicker to walk than take the bus, according to the independent study, commissioned by Greener Journeys, the sustainable transport group. The report, The Impact of Congestion on Bus Passengers, found that if journey times continue to decline at their current rate, bus passenger numbers will drop by between 10% and 14% every 10 years, putting the future of the bus sector under threat. It said that official targets for average bus speeds and the national introduction of contactless payments by 2019, three years earlier than planned, could help to tackle ease congestion. Other measures to be considered include charging van drivers making deliveries during peak hours; introducing more road schemes such as bus lanes; and encouraging bus companies to provide more up-to-date travel information for passengers, says the report. Non of this is rocket science, it's yet another report that says if you make bus journeys slower and more unreliable passenger numbers will suffer accordingly. In spite of this many local authorities fail to make this link and instead try to use diminishing passengers numbers as a reason for them to take over the running of the buses. It doesn't add up. 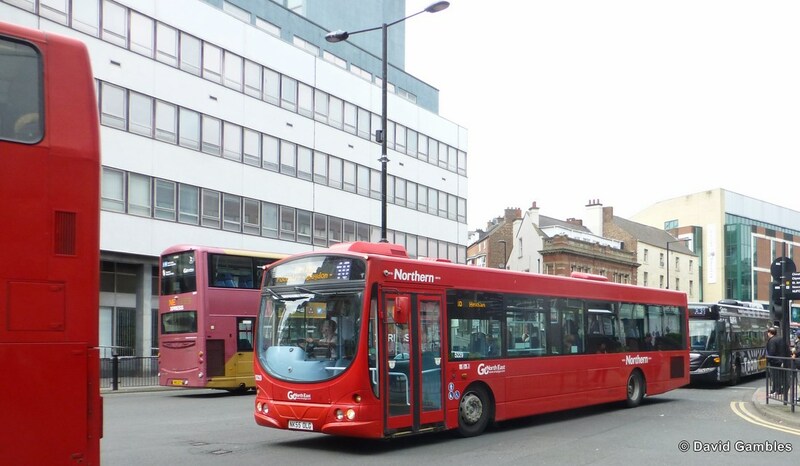 The best way to run buses is via established companies with many years experience running buses that are given high priority on Britain's roads. Simple and cost effective. The solution is that bus companies re-invest most of their profits in new vehicles, which is what they do now, whilst local authorities invest in the road infrastructure. It could maybe be called a.....Partnership.